I’ve just moved some linter integration plugins to the KDE infrastructure (scratch repos), therefore making them generally available. 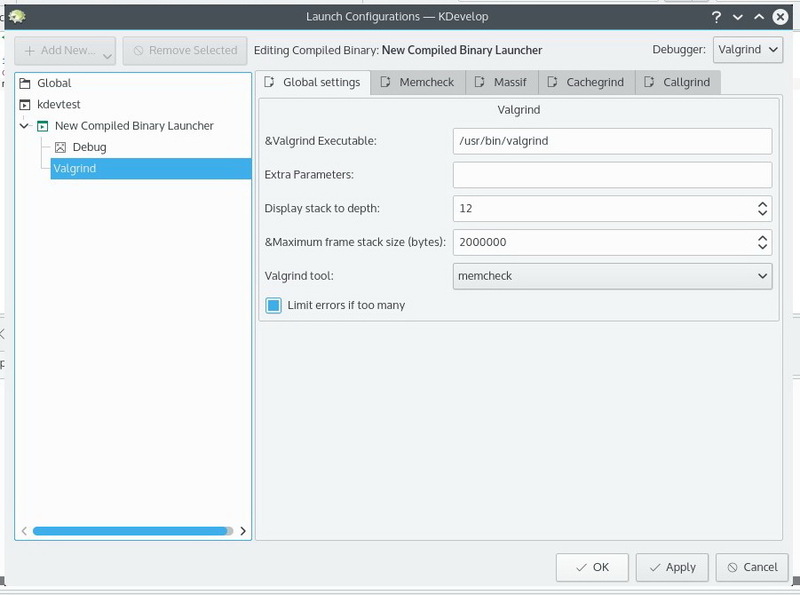 They are fairly simple plugins, all 3 of them are alike in that they just run an external tool, and bring the results (the issues found) into KDevelop’s GUI. The found issues then will be in the problems toolview, in their own separate tab. The tools can check either a single file or all files in the project. You can see the workflow and configuration options in the videos included. There are also user’s manuals and tech manuals in the docs directories of each repo. This plugin integrates Clang’s static code analysis feature, providing C/C++ static code analysis. This plugin integrates a linter called Pylint, and as the name suggests it’s a Python code analyzer. 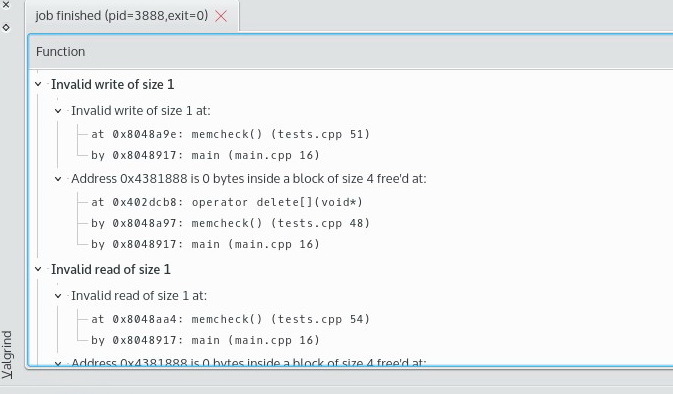 As you all probably know CppCheck is static code analyzer tool for C and C++. 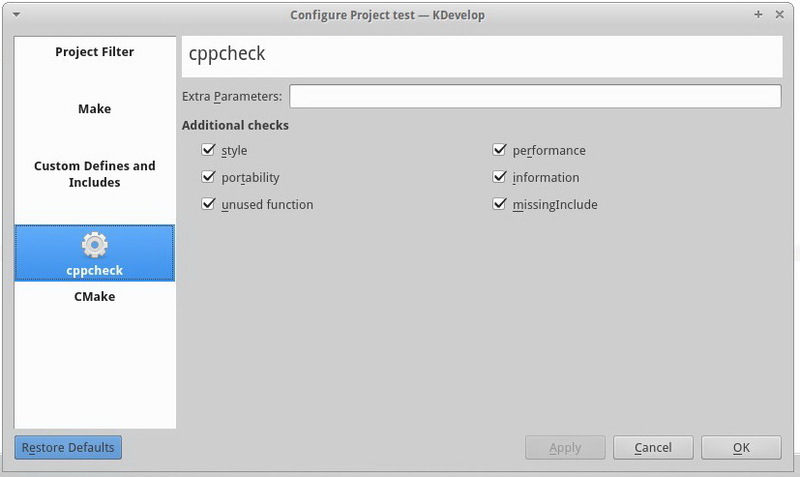 KDevelop has a plugin that provides a front-end for it, and the plugin is called kdev-cppcheck. The good news is I’ve updated it’s GUI and now it uses the KDevelop Problem Checker Framework. In the past it used to have it’s own toolview, where it showed issues in different formats (flat issue list, grouped by files, grouped by issue severity), based on the settings set in a KCM module. Also the results area now shown in the problems toolview, just like problems found by the background parser, in it’s own tab. First of all let me introduce some concepts for readers who are unfamilair with them. Krazy2 is a set of code tests (basically static code analysis) for KDE developers. 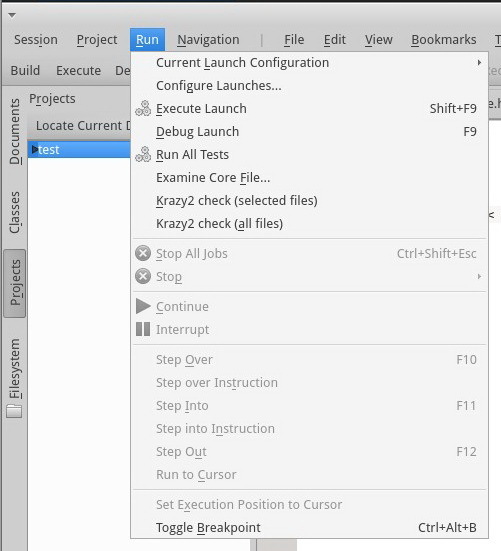 kdev-krazy is a plugin for KDevelop, that provides a frontend for Krazy2, so it can be run directly from KDevelop. The resulting issues also show up in KDevelop. 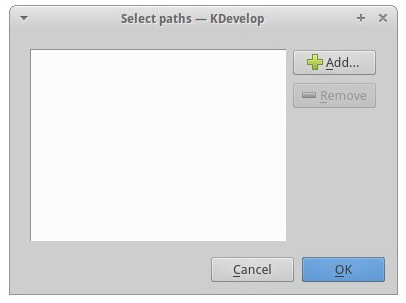 I’ve given some love to this plugin lately: First I ported it to KF5 so it can run in the latest KDevelop. 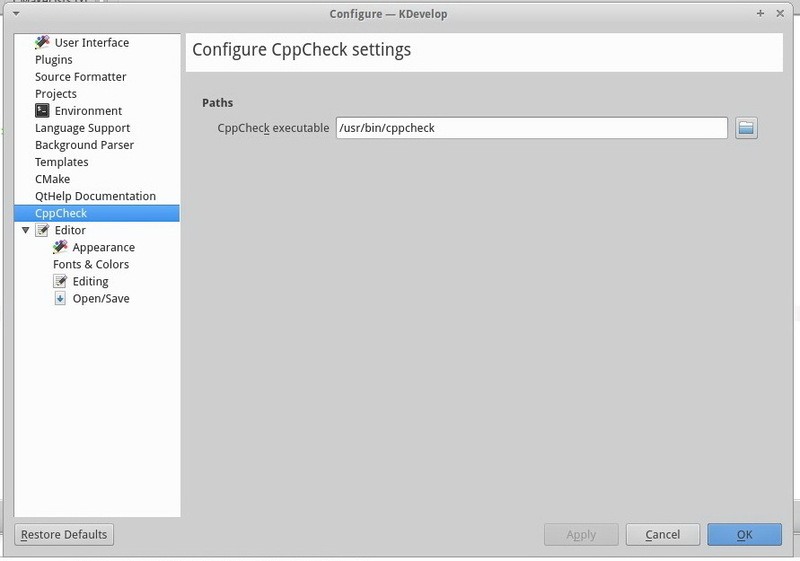 Now I’ve changed it’s GUI so it now uses the new KDevelop Problem Checker Framework. Up until now the plugin had it’s own toolview. That’s where settings could be changed, analysis started, and that’s where the issues showed up. Let’s see some screenshots! The first one shows the main KDevelop window, with the plugin loaded, showing the krazy2 toolview docked in the bottom (fairly large picture, feel free to click). Clicking either the “Select paths” or “Select checkers” buttons shows settings dialogs, not surprisingly you can select paths and chekers in them. The next 2 screenshots shows those. The analysis can be started from the Run menu. ProblemModels are added to ProblemModelSet. ProblemReporterFactory makes instances of ProblemsView. ProblemsView takes the models from ProblemModelSet (also subscribes for updates about them, so if one is added or removed it can add/remove their views) and it provides a tabbed widget where the views for them can be added. It creates instances of ProblemTreeView which show the problems in ProblemModel, and adds them to the tabs. Also the tabs shows the number of problems in the ProblemModels. Then from 1:07 onward it shows an example problem model/view working with randomly generated test data. 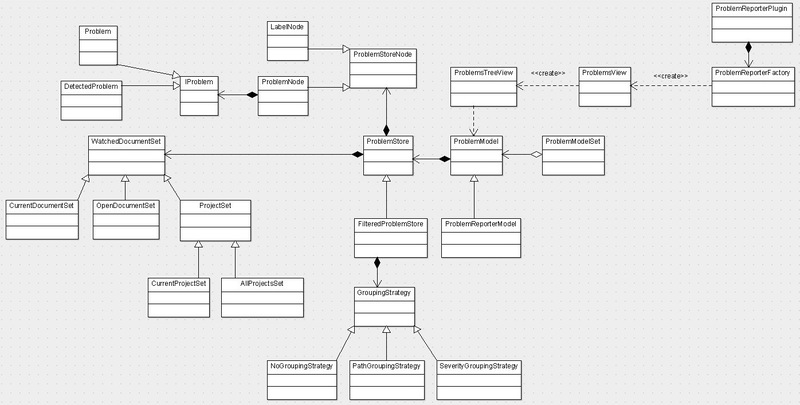 It shows the features of the new model(s), that is filtering by files/project and issue severity. It also shows the grouping support (grouping by severity, and path. Base ProblemModel that provides the QAbstractItemModel interface for views and can use various ProblemStores to store problems. By default it uses FilteredProblemStore. ProblemReporterModel is basically the old ProblemModel that grabs problems from DUChain, it’s a subclass of ProblemModel. ProblemStore simply stores problems as a list (well technically it stores them in a tree, but it only has 1 level, so it’s a list). There’s no filtering, no grouping. It’s perfect for ProblemReporterModel since it does filtering itself when grabbing the problems from DUChain. FilteredProblemStore DOES filtering, and grouping itself. It stores problems in a tree (ProblemStoreNode subclasses). The tree structure depends on the grouping method, which is implemented with GroupingStrategy subclasses. Moved WatchedDocumentSet and it’s subclasses from ProblemModel to ProblemStore, as it is really a detail that the model itself doesn’t need, however ProblemStore which stores the problems needs it actually. Created a new Problem class, DetectedProblem and moved both this and the “old” Problem class in under the IProblem interface. The intent here was to create a class with a clear interface for problems, which ProblemStore can simply store. I wanted to eventually clear the problems out of DUChain and replace the “old” Problem class with it. However I realized that it’s not practical because of the “show imports” feature which shows the problems from imported contexts. Unfortunately DUChain is the class that knows those, and it’s way too much work to get it out from it. Not to mention it doesn’t even make sense, since it’s really something that logically belongs there. 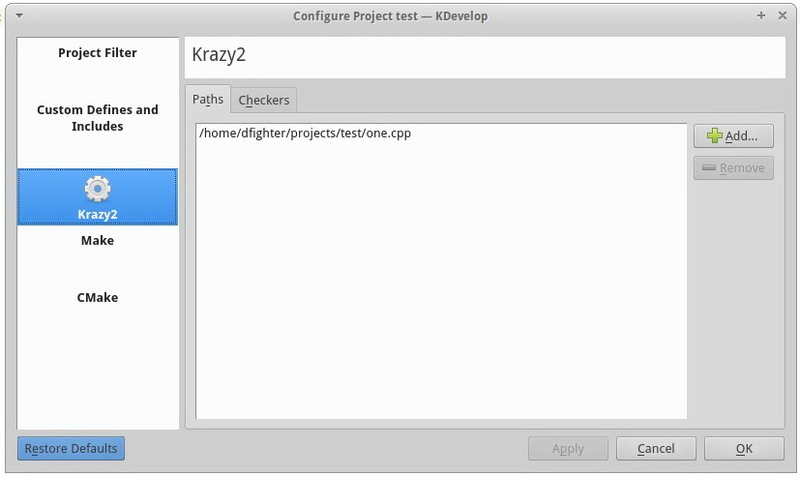 The KDevelop frontend for Krazy tools has been ported to KF5, so it now works with the KF5 version of KDevelop. 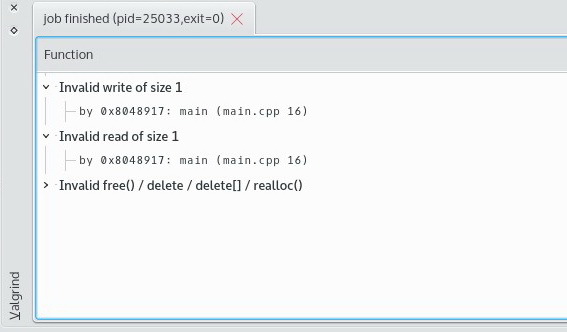 Let’s review what I’ve done to KDevelop’s kdev-cppcheck and kdev-valgrind plugins lately. This is fairly straightfoward: These plugins were still using the old .desktop plugin manifest files. Now they are using the embedded JSON manifests. This isn’t something user visible, but it’s needed as the old .desktop method is now deprecated. Until now the callgrind output has only shown the IR and Inclusive IR fields. Now is shows the number of calls as well. Take a look at the pictures! Until now kdev-valgrind’s memcheck output unfortunately didn’t show enough of the callstacks to be really useful. You couldn’t see where the problem exactly occured, or where it was stemming from! Now it shows the full backtrace + the auxilliary trace as well, so you can see what actually causes the problems. See the pictures! I’m happy to report that it works! I didn’t have to actually change anything anymore, just set it up and run it using an example program. While working on kdev-valgrind, I learned some debug lessons about them, and kinda made up a smaller checklist for problems I’ve encountered. Is the plugin installed to the right directory? Is the .rc file named correctly and is it the same as set with setXMLFile in the plugin? Is the .rc file named the same as the plugin’s name in IPlugin’s constructor?